We’re to use it! We can use temporary resources—what God has put in our hands—for permanent good. “The wise man looks ahead. The fool attempts to fool himself and won’t face facts” (Proverbs 14:8 TLB). 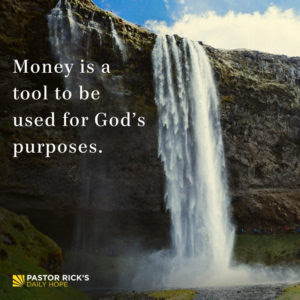 Money is a tool to be used for God’s purposes. We’re not to hoard it. We’re not to stockpile it. We’re not to worship it. We’re to use it! We can use temporary resources—what God has put in our hands—for permanent good. In Luke 16, Jesus turned the dishonest but shrewd manager into the hero. The manager knew he was going to be fired, so he decided to make some friends by lowering the debts owed to his master. What did Jesus like about this guy? The man was dishonest, but he did three things right, and those three things reveal lessons that God wants you to learn and apply to your finances. Most people never look ahead when it comes to their finances. We’re not saving anything, and that’s not smart. Proverbs 14:8 says, “The wise man looks ahead. The fool attempts to fool himself and won’t face facts” (TLB). The manager made a plan. How do you know if you’ve got a financial plan? It’s really simple: Do you have a budget? A budget is simply planned spending. A budget tells your money where you want it to go rather than wondering where it went. You’ve got to have a plan. 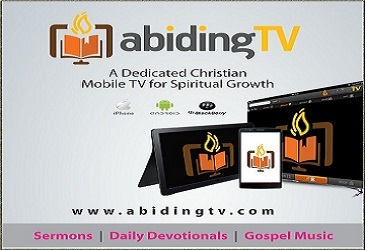 The Bible says in Proverbs 16:9, “We should make plans—counting on God to direct us” (TLB). Luke 16:4 says, “I know how to ensure that I’ll have plenty of friends who will give me a home when I am fired” (NLT). That’s smart! And Jesus wants you to do the same when it comes to your finances. Are you spending your treasure here on Earth or looking ahead and storing up treasure in heaven? What facts do you need to face up to in your finances? How do you need to start planning for the future when it comes to your finances? What do you want to accomplish in the future with your money? How have you procrastinated when it comes to managing your finances and saving for the future? What can you do today to move forward in these areas?